Psoriasis is a non-contagious skin condition characterized by inflamed red patches on the skin. A good understanding of what it is and how it is caused is crucial to treating the ailment and manage the symptoms. It generally affects adults but kids and teenagers can develop the ailment characterized by red blotchy layers of dead skin, flaking, redness and scaling itchy areas, as well. Psoriasis is caused by an overreaction of the immune system. This is turn leads to inflammation of the skin and causes it to develop flakes and psoriasis scales. Under normal conditions new cells grow and are shed within a span of 4 weeks but the skin cells that are affected by the condition develop at a faster rate and do not shed like the normal cells. This leads to build up of excess skin, which leads to the symptoms that characterize this ailment. The severity of the psoriasis varies from one person to another. Many people fear that the disease is contagious, but it is not. It is not spread by coming into contact with a person who has contracted the same. It may however be hereditary; though research has yet to show how it passes through family members from generation to generation. There are a number of treatments available to treat the condition and reduce the symptoms. Additionally a number of natural cures are available and considered to be safe and without any side effects. Some of the natural cures include using herbs such as herbal detox tea, red clover, oregon grape root extract and salts such as Natrium Muriaticum 6C and Kalium Sulphate 6C. These are considered to be highly effective remedies as these help reduce inflammation and also helps in keeping the system hydrated. There are homeopathic treatments as well that are available to tackle the condition. 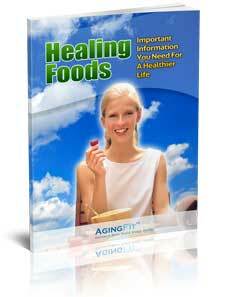 There are several homemade remedies that can go a long way in treating the disease. Using oils such as that of avocado, fresh cashew nuts, buttermilk and consuming fruits and vegetables such as bitter gourd, grapes, carrot and cucumber can help in cleansing the blood and thereby decrease the effect of the disease. Herbal creams and shampoos that contain good remedial blends are also available in the market to treat psoriasis. As psoriasis is aggravated by improper diet, stress and improper lifestyle habits, bringing the body back to normal balance also works effectively as a psoriasis treatment. Treating the condition generally consists of managing as well as controlling flare-ups of the symptoms. A dose of lifestyle changes can be highly effective in stopping the condition and preventing future break outs. Some of the most commonly contracted form of the disease are: inverse psoriasis, plaque psoriasis, pustular psoriasis, guttate psoriasis and erythrodermic psoriasis. Most people afflicted with the condition contract a singular type, however one type can lead to another when stimulated by external situations such as a health concern or a stressful situation. Often ailments that cause the immune system to be overburdened can lead to the condition and worsening of psoriasis symptoms. Plaque psoriasis is the most common type of the skin affliction and almost 80% of those afflicted suffer from this. Guttate psoriasus is the second most common type. It is generally linked to a viral infection and is most commonly found in teenagers and children. Pustular psoriasis is a rare kind of the diseases that is characterized by raised pustules that are covered with pus. Erythrodermic psoriasis is very painful and can also be deadly in some cases. Inverse psoriasis is a glossy and shiny eruption that generally affects the armpits, breasts and genital areas. In some severe cases, people develop arthritic symptoms called as psoriatic arthritis. People thus afflicted complain of painful, swollen joints. The severity of the ailment can sometimes also cause loss of finger and toe nails due to the skin build-up beneath the surface that pushes the nail out of the nail bed. A proper skin care regimen is very important for those afflicted with this condition. The skin patches are often itchy; however, it is best not to scratch the scales as this can injure the skin leading to an infection. Instead it is best to moisturize the surface. Forcefully tearing away the patches can lead to a worsening of the situation. It is important that you find out which skincare products works best for you and use those regularly. Products containing aloe vera has been found to be highly effective in some cases. If a person is afflicted with the condition on the scalp there are many over-the-counter shampoos that can help deal with the irritated areas on the scalp. These shampoos have been known to be very effective. The regular shampoos contain alcohol which remove moisture from the skin and are not advisable if you are using for psoriasis. Although over exposure to sun is not good for people afflicted with this condition, short exposures to sunlight or other ultraviolet lighting is recommended in treating the condition. Exposure to the sun for 15-20 minutes every day is helpful and if this amount of time causes irritation in the skin you may consider reducing it to a level that is more comfortable. Psoriasis is generally regarded as a chronic ailment. It can go into remission for a long duration of time but it is generally one that one has to live with for a lifetime. Good skin care and avoiding conditions that can lead to flare-ups help manage psoriasis. Those afflicted with severe psoriasis are often found to suffer from bouts of depression. There are many support groups for people emotionally affected by the disease. Opting for emotional counseling with a qualified therapist can also go a long way to help treat the condition. What is heartening is that even in the most advanced cases of psoriasis there are effective steps that you can take in order to improve the quality of life and largely reduce the symptoms of psoriasis, improving your health and day to day living. With proper care, you can stop painful itching, reduce irritation areas, stop the painful flaking of psoriasis scales.